"How to Double, Triple, or Even Quadruple Your SALES Online with the Same Amount of Traffic You Are Already Getting!" "Discover the Insider Conversions Secrets that I Learned from Meeting Internet Millionaires to SKY ROCKET Conversions Online...and Now You Can Do It Too!" If you want to how I got up to $7.50 EPC (earnings per click) with an affiliate promotion and be the #1 guy with the HIGHEST conversions in an affiliate contest, then watch this video and read this all the way. Do you want to get BETTER CONVERSIONS online, then watch this video all the way. Did you know that making money online is about TWO things? It's about TRAFFIC and CONVERSIONS. Getting traffic is easy once you learn it. You can simply buy traffic from a traffic source in the big traffic stores out there like YouTube, Facebook, or Google. However, you may STRUGGLE with your conversions. I'm about to show you how I was able to SKY ROCKET my conversions online and get up to $7.50 in EPC (earnings per click) while even top marketer were getting only about $1.00 EPC because I learned the TOP conversion secrets from MILLIONAIRE mentors in this industry. I put together a simple and easy to follow online video course called "CONVERSIONS 101" to show you how ANYONE including YOU can convert MORE traffic into MORE leads and MORE sales online! Watch REAL LIFE Proof of Getting SKY ROCKETING Conversions Online! Watch Me Get Up to $7.50 Earnings Per Click and Get 23% Sales Conversions with My Conversion Secret Strategy! I ranked #1 in Earnings Per Click (Conversions) out of ALL Affiliates for a Recent Top 10 Clickbank Launch in 2015! I got up to $5.00 earnings per click/hop which is 5 TIMES better conversions than most great affiliate marketers thanks to using my CONVERSION SECRETS! I made $5,900 in 1 day with a big ticket offer using my conversion secrets! I made $1,112 in 1 day with a different big ticket offer using my conversion secrets! 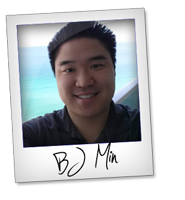 Made an extra $975.26 in 7 days with JVZoo using my same conversion secrets! The simple and easy to follow tweaks to double, triple, or even quadruple your sales online! How to use email marketing to MAXIMIZE your profits online! How to have AUTOMATED emails to do all the work for you to INCREASE sales conversions! How to use a simple lead magnet to potentially DOUBLE your leads with one little change! How to split test to constantly increase your sales conversions even if you are not technical! Discover the ESSENTIAL keys of your business to MAXIMIZE your sales conversion through the roof. How to create a "weird" 1 page webpage so you can Get BETTER CONVERSIONS than 99% of affiliate marketers who do it the wrong way! 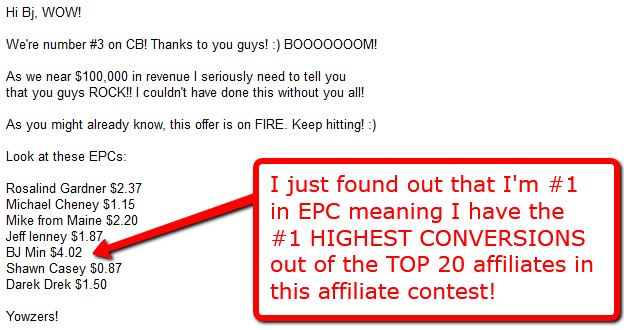 How I got up to $5 and $7 in EPC while even top affiliate marketers get only $1 EPC! I reveal ALL MY TOP conversion strategies, techniques, and tricks that you can implement TODAY to double, triple, or even quadruple your CONVERSIONS online with the same traffic you're already getting. These are all EASY TWEAKS to INCREASE your sales online. Click the link below to get "Conversions 101" and GROW your business to another level! Plus, you get my 100% money back guarantee. Just get it now, test out my conversion strategies and secrets for 30 days. If after using my strategies, you don't get BETTER conversions than you did before or you're just not satisfied with my product for WHATEVER reason, then just shoot me one email and I'll give you ALL YOUR MONEY back no questions asked. You can technically rip me off by watching all my secrets and ask for your money back but I trust that you're a good person and you wouldn't do that. However if you really want your money back, I am a man of my word and I'll give it back to you no questions asked. That's because I am very confident if you just take my training and use it for your online business, then you WILL get more leads, more sales, and better conversions bottom line. Click the link below and discover my my simple & easy to implement conversion tweaks to get MORE leads and sales online! Click Link Below to Get "Conversions 101" Now! P.S. If all this training did was to show you ONE SECRET to DOUBLE YOUR SALES online, would it be worth it to you? If you said yes, then invest in your education and click here to start increasing your sales conversions starting today! P.P.S. Remember, you have my 100% money back guarantee meaning that if for whatever reason you don't feel that I gave you far more value in this course than what you paid for, then just ask for a refund request through 1 simple email and you'll immediately get your money back NO QUESTIONS ASKED! I won't get paid unless you are fully satisfied and help you increase your overall conversions online! Go ahead and click here to start increasing your conversions in your online business! P.P.S. On top of the training, my support and I give you awesome support to you whenever you need help. Click here to sky rocket your conversions and grow your business online!